Innocent Bystander is conveniently located across the street from fellow Healesville winery Giant Steps. In fact, the two wineries used to be housed under the same roof but since the businesses (amicably) split up in early 2017, Innocent Bystander has expanded and come into its own, taking over what was once the the White Rabbit Brewery. 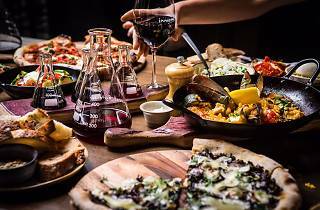 In a nod to its predecessor, Innocent Bystander's stand alone venue has a beer hall atmosphere, with their Prosecco to Syrah served out of temperature controlled draught taps. It's an approachable venue, order a carafe or a flight of wines and it'll come in measuring beakers straight out of science class. 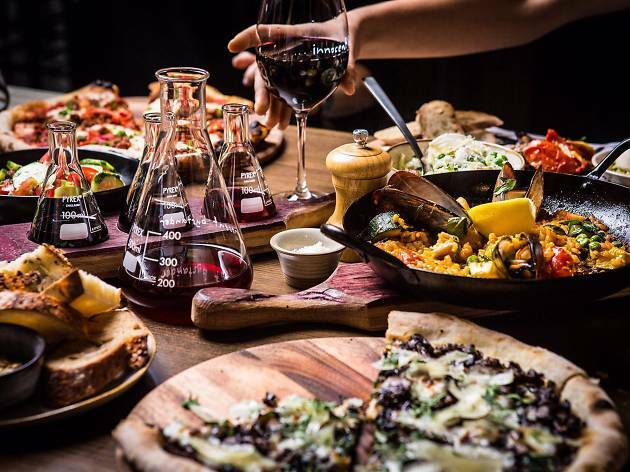 The food menu is centred around wood-fired pizzas and share dishes made for nibbling while diners sample the moderately-priced wines. On warmer days, Innocent Bystander's Moscato is a popular choice. The pink sparkler with candyfloss sweetness is made for drinking with summer desserts.